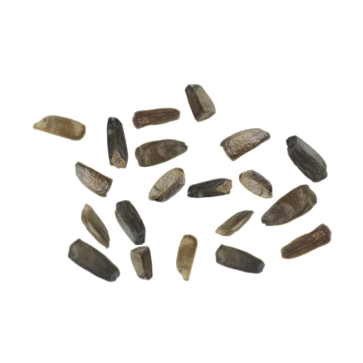 Wild Dagga seeds to grow a Wild Dagga shrub at home. The flowers of Wild Dagga contain leonurine, which has calming, mildly euphoric effects. Dried, these flowers can be smoked or used to brew tea. Wild Dagga is often used as an alternative for tobacco in joints with cannabis. 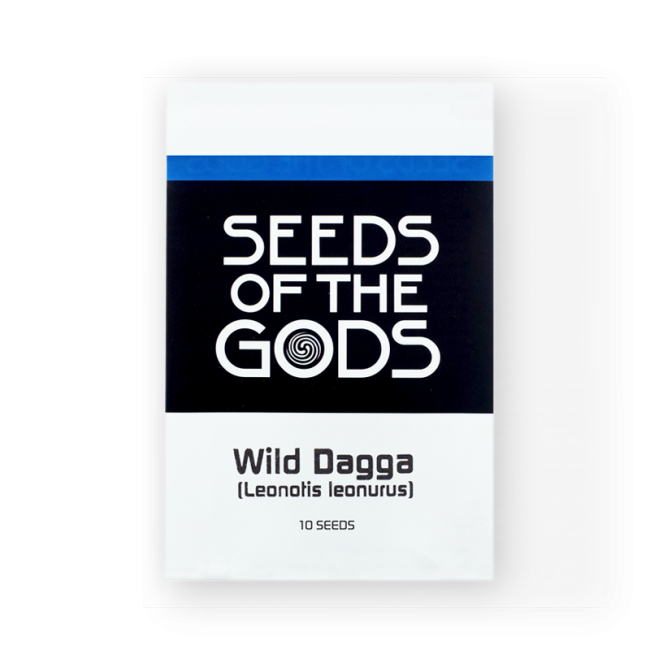 Contains 10 Wild Dagga Seeds. In hermetically sealed packaging. The dried flowers of the shrub Wild Dagga (Leonotis Leonorus, also known as Lion’s tail) contain the active agent leonurine. Leonurine relaxes the nervous system and has calming, mildly euphoric effects. For this reason, Wild Dagga is similar to cannabis, although it’s not quite as strong. Wild Dagga makes a fine replacement for tobacco in joints with cannabis. But be careful: like tobacco, smoking Wild Dagga is very addictive! Wild Dagga is usually used for smoking. You can also use it to brew tea. Let one or two tea spoons of dried Wild Dagga tips steep in some hot water. Wild Dagga is a shrub of about 1-2 meters in height with strikingly red flowers shaped like a lion’s tail (hence the local name Lion’s Tail). Cultivating Wild Dagga is relatively easy and the shrub is a fast grower. Because Wild Dagga was originally found in the south of Africa, it prefers dry soil and a relatively dry climate. In cooler climates, you can keep Wild Dagga as an annual plant. It’s best to sow the seeds towards the end of autumn, in containers with soil rich in compost. As soon as the seeds have sprouted, you can take them outside, but only after the last frost of winter has passed. Wild Dagga can handle a bit of frost, but it’s usually better to keep the plant inside in winter. For this reason, it’s advisable to cultivate Wild Dagga in a pot. Wild Dagga blossoms throughout the summer. Afterwards, you can prune the shrub for the next season. In summer, Wild Dagga loves being watered, but it’s doesn’t require much water in winter. Wild Dagga flowers burst with nectar. The shrub attracts lots of birds, bees, and butterflies - great for attracting more wildlife to your garden. The tubular, bright red flowers also make Wild Dagga an attractive ornamental plant for your balcony. If you want to cultivate Wild Dagga to harvest and dry the flowers, it’s advisable to only pick one third of the flowers at a time. Warning! Smoking Wild Dagga is very addictive to some people - equally addictive as tobacco!